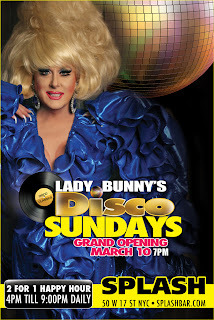 Lady Bunny Blog: DISCO SUNDAYS ARE BACK AT SPLASH STARTING SUNDAY! So put on your dancing shoes! 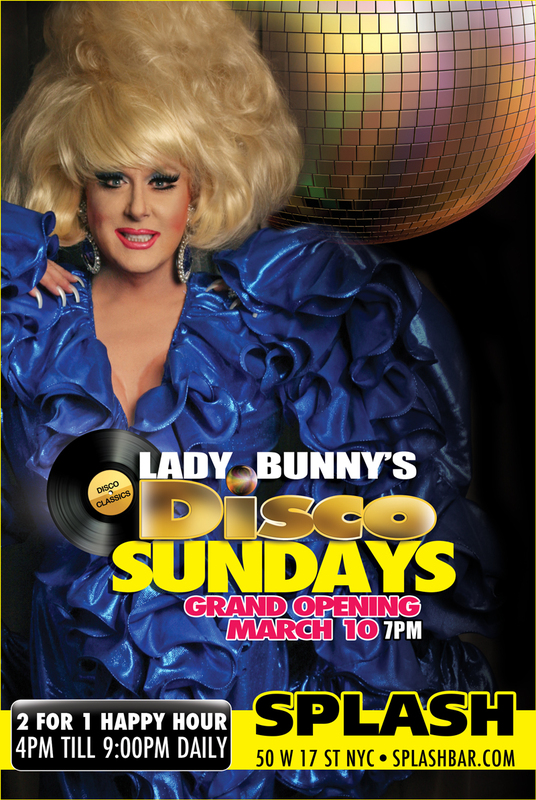 Starts at 7PM with no cover and 2-4-1 drinks!